The NBSS Speech and Language Therapist works to develop and maximise students’ speech, language and communication needs as well as their learning and socialisation skills. 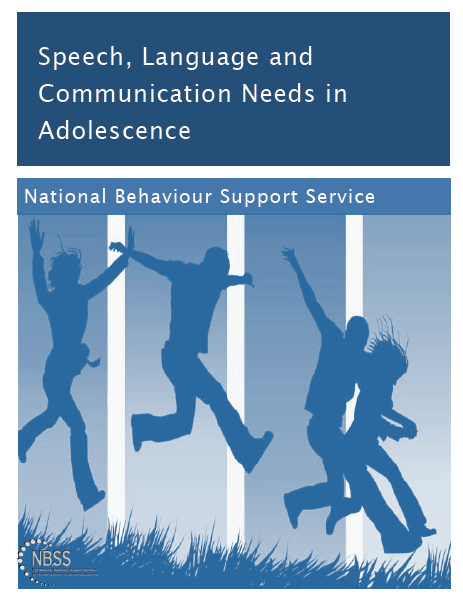 Find out more about speech, language and communicaton needs in adolescence in this NBSS resource. Fostering vocabulary and language growth could form part of a First Year Transition and Transfer programme. 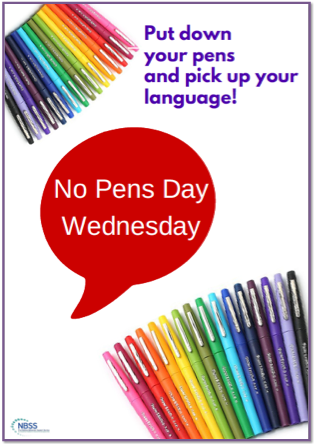 NBSS supports schools to plan and implement a 'No Pens Day' where the whole school community focuses for a day on speaking and listening activities. Language is fundamental to participation in school life (academic and social). At post-primary level the language demands of the classroom increase significantly. The NBSS Speech and Language Therapist (SLT) works with targeted partner schools providing assessment, diagnosis, intervention and management of speech, language and communication needs, where appropriate. Difficulty understanding long instructions or directions. Difficulties understanding what they read. Difficulties understanding questions – what? why? when? Difficulties taking turns in a conversation. Only using short, unfinished sentences. Difficulty with telling stories in the right order. Speech, language and communication needs (SLCN) are linked to poor peer relationships and poor social and emotional well-being. The NBSS Speech and Language Therapist works to develop and maximise students’ speech, language and communication needs as well as their learning and socialisation skills. The SLT works collaboratively with school staff in targeted schools to provide appropriate intervention and support to address these needs and develop these skills. For example, the focus of an intervention could be on developing a student’s vocabulary; reading and understanding of stories, instructions, questions and books; telling and writing stories and answering questions; or developing a young person’s social skills e.g. eye contact, conversation skills. Between 50-80% of young people with social, emotional and behavioural difficulties have undetected speech, language or communication needs (Bryan et al., 2007; Snow & Powell, 2008). Speech and Language Therapy assessment of 40 students in five NBSS partner schools found that 95% of the students assessed presented with a speech and language difficulty. Of the 95%, 70% presented with a severe difficulty in at least one area of language (receptive or expressive language) while 60% presented with a severe difficulty in both receptive and expressive language skills. 92% presented with difficulty in at least one area of literacy (reading comprehension, phonological literacy or spelling). 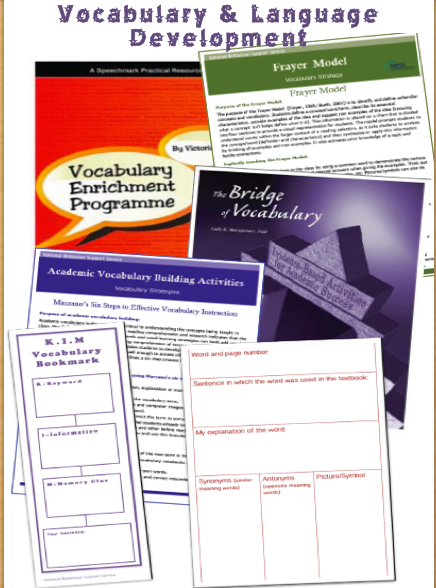 Vocabulary understanding and use was an area of difficulty for 88% of the students. 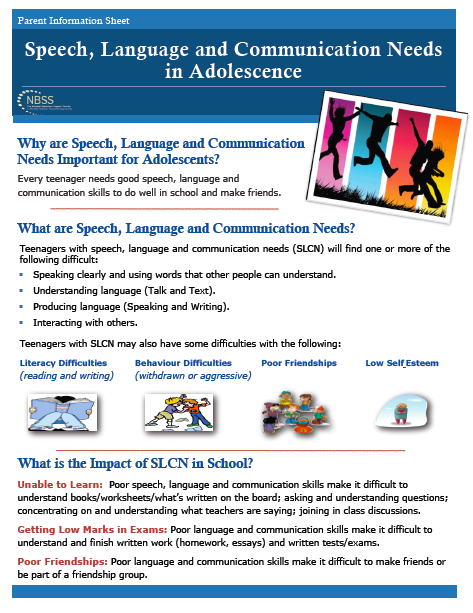 In school these students will have difficulty expressing themselves, understanding what the teacher says and interacting appropriately with peers and adults.Without appropriate intervention and support young people with SLCN may struggle significantly to develop adequate language skills in adolescence.